*FOR OTHER MUSEUMS SEE "MUSEUMS - KOWLOON" AND "MUSEUMS - NEW TERRITORIES"
The museum is located in Flagstaff House which until 1978 was the former residence of the Commander of British Forces in Hong Kong. This historical building was converted to become the Flagstaff House Museum of Tea Ware in 1984. It is the first specialised museum in the world devoted to the collection, study and display of tea ware. 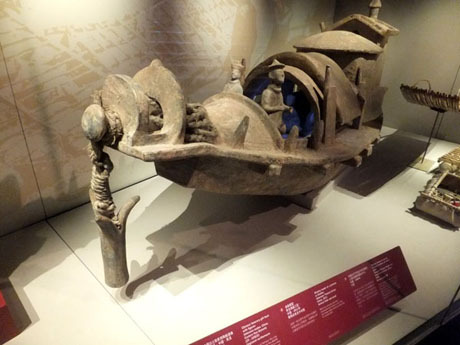 The core of the museum collection was donated by Dr KS Lo (1910-1995) and includes about 600 pieces of tea ware and related vessels dating from Western Zhou (11th c. BC – 771 BC) up to the twentieth century. 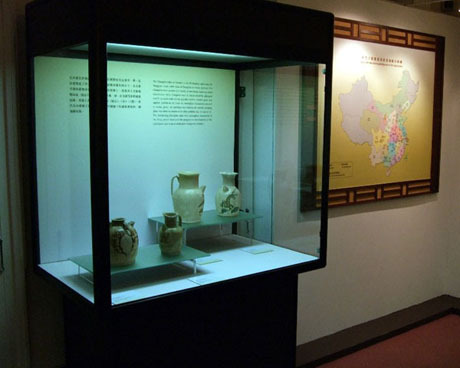 There are galleries on two floors with permanent exhibitions on “Chinese Tea Drinking” featuring different tea drinking vessels, tea leaves, art books and exhibition catalogues and “Chinese Ceramics and Seals Donated by KS Lo Foundation” with 25 items of ceramics from the Song Dynasty and over 80 items of selected seals from the late Ming Dynasty to the twentieth century. Temporary exhibitions on topics related to tea ware are held throughout the year. The museum has a Chinese Teahouse serving Chinese tea and tea snacks. The Teahouse also holds demonstrations and the museum has a gift shop selling all kinds of tea vessels, tea leaves, art books and exhibition catalogues. The annual attendance of this museum for the fiscal year ended 31st March 2017 was 202,000. OPENING HOURS – 10am to 6pm but closes at 5pm on Christmas Eve and Chinese New Year's Eve. Closed every Tuesday (except public holidays) and the first two days of Chinese New Year. GETTING THERE – The museum is located inside Hong Kong Park. Nearest MTR Station is Admiralty (Exit C1). Take the covered footbridge across Queensway, enter Pacific Place Shopping Mall and take the escalators on the right to the very top then cross Supreme Court Road into Hong Kong Park. Hong Kong Museum of Coastal Defence is closed from 17th September 2018 until further notice owing to serious damage to its tensile structure caused by Tropical Cyclone Mangkhut. The museum had already planned for closure in early 2019 for facility improvement and revamping of its permanent exhibition, the renovation and necessary repair works will be planned and implemented on a holistic basis. It is anticipated that the museum will be closed for a relatively long period of time. The museum opened to the public in July 2000 having been converted from the 100-year-old Lei Yue Mun Fort. The museum occupies a large site on a hill overlooking the eastern approaches to Victoria Harbour with panoramic views. There are two main areas, the Redoubt and the outdoor Historical Trail. The Redoubt was built in 1887 and was regarded as a large-scale fortification of the British Forces. Eighteen casemates were constructed to serve as barrack rooms, magazines, shell store and coal store. There was also an open courtyard in the centre of the Redoubt for assembly. 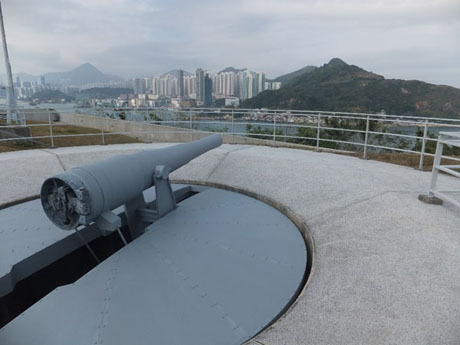 Following restoration the Redoubt houses the permanent exhibition on the history of coastal defence in Hong Kong. The Historical Trail preserves various military structures including the Ditch, Torpedo Station, Caponiers, Artillery Barracks, Batteries and Underground Magazines. The permanent exhibition in the Redoubt comprises eleven small galleries illustrating the history of coastal defence in Hong Kong from the Ming Dynasty (1368-1644), through the Qing Dynasty, Opium War, British Period (1841-1941), Battle for Hong Kong, Japanese Occupation, return to British control and up to the current day with the Hong Kong Garrison of the PLA. An upper balcony gallery also has an exhibition area and weapons theatre. 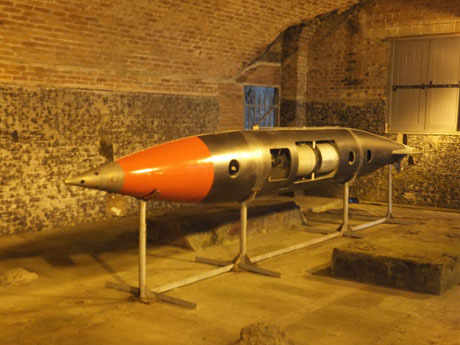 The outdoor Historical Trail follows various historical military structures of the fort including the Central Battery, West Battery, Torpedo Station, Ruined Structure, Gunpowder Factory, Underground Magazine and ditch. From the trail visitors can enjoy spectacular views of the Lei Yue Mun Channel and Victoria Harbour. The annual attendance of this museum for the fiscal year ended 31st March 2017 was 171,000. The museum has a café and gift shop. GETTING THERE – MTR to Shau Kei Wan Station (Exit B2) then follow the tourist signs for the museum along Shau Kei Wan Main Street East and Tung Hei Road (under the elevated Eastern Island Corridor) to the museum. The museum is about 15 minutes walk from the MTR station. Bus route 85 from North Point Ferry Pier to Sui Sai Wan stops outside the museum. Shau Kei Wan Bus Terminus (close to the MTR station) is served by bus routes 2, 2X,9,77,99,102,110,529,720 and 720A. Located in the magnificently preserved Kom Tong Hall the museum opened in late 2006, the building having been purchased by the Hong Kong Government in 2004 after facing the threat of demolition by its previous occupants, the Church of Jesus Christ of Latter-day Saints. Kom Tong Hall built in 1914 was named after Ho Kom-tong, brother of the magnate Robert Hotung and a comprador of Jardine Matheson and Co and family mansion of the Ho’s. Dr Sun is thought to have never visited Kom Tong Hall but was an acquaintance of the original owner Ho Kom Tong. Dr Sun received his secondary and tertiary education in Hong Kong which became the basis for his revolutionary ideas. 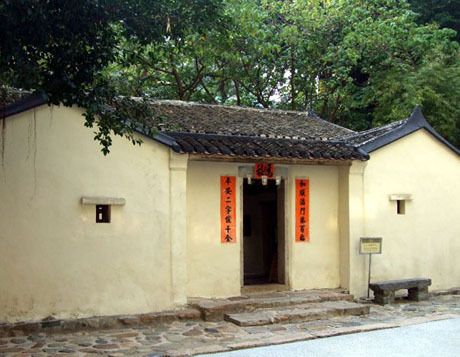 The museum celebrates the life of the “Father of Modern China” has two permanent exhibitions. “Dr Sun Yat-sen and Modern China” explains how Dr Sun was transformed from an aspiring medical student into a renowned revolutionary leader. “Hong Kong in Dr Sun Yat-sen’s Time” illustrates the favourable conditions in Hong Kong in political, economic, cultural and social areas which assisted in the success of the 1911 revolution. These permanent exhibitions are located in first and second floor galleries and there is also a special exhibition gallery housing temporary exhibitions on the upper ground floor. The museum has a reading room and two video rooms showing short videos. The floors are served by a magnificent central staircase and stained-glass windows and first and second floor balconies and balustrades emphasise the superb architectural importance of the building. The annual attendance of the museum for the fiscal year ended 31st March 2017 was 93,000. The museum has a small gift shop but no café. LOCATION – 7 Castle Road, Mid-Levels, Central. OPENING HOURS – 10am to 6pm Monday to Wednesday and Friday. 10am to 7pm Saturdays, Sundays and public holidays. 10am to 5pm Christmas Eve and Chinese New Year’s Eve. Closed on Thursdays (except on public holidays) and the first two days of Chinese New Year. GETTING THERE – Mid-Levels escalator to Caine Road then walk westwards along Caine Road for about 5 minutes (there are tourist signs leading to the museum). Caine Road is also served by bus routes 3B,12,12M,13,23,23A,40,40M and 103. 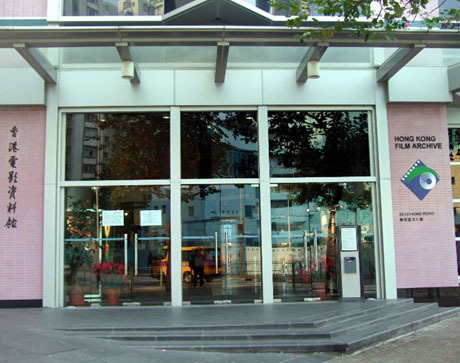 Hong Kong Film Archive opened in 2001 and is dedicated to the collection and preservation of Hong Kong films and related information. 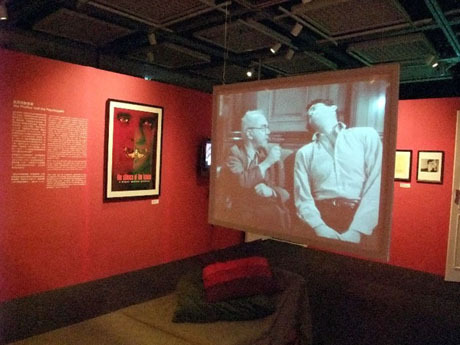 The archive has a collection of several hundred thousand items and in addition to collecting and conserving film prints and artefacts provides public access facilities and conducts a wide variety of activities to promote Hong Kong’s film culture and facilitate research on the history of local cinema. The archive collection ranges from an 1898 scenic documentary shot in Hong Kong by the American Edison company to local twentieth century productions. Highlights include “The Soul of China” (1948) found in the UK’s National Film and Television Archive and “The Orphan” (1960) discovered in the Rank Film Laboratories of UK. Salvaged classics include “A Page of History” (1941) and “The Valiant Ones” (1975). In April 2009 Celestial Pictures Limited which owns the Shaw Brothers Film Library handed over its entire collection of over 700 films to the archive including "Diau Charn", "The Kingdom and The Beauty", "The Blue and The Black", "Let's Make Laugh", "Hong Kong Nocturne", "The Warlord", "One-Armed Swordsman", "The 36th Chamber of Shaolin", "The Empress Dowager", "The Blood Brothers", "Enchanting Shadow", "The House of 72 Tenants", "Come Drink With Me", "Love In A Fallen City", "The Love Eterne" and "Justice, My Foot!". In July 2010 the archive's collection was further enhanced when TV broadcaster ATV transferred over 400 prints from its film library collection for storage, research and preservation with a further 300 or so to be handed over once consent has been received from the film's owners. ATV was inaugurated in 1957 as "Rediffusion Television" and has acquired hundreds of Hong Kong films of different genres. This valuable collection includes Cantonese, Mandarin and Chaozhou dialect films from the 1940s to the 1990s, with classics such as "The Judge Goes to Pieces" (1948), "A Star of Mischief is Born" (1951), "How Wong Fei-hung Set Fire to Dashatou" (1956), "She Married an Overseas Chinese" (1957), "Three Trials of the Number One Scholar's Wife" (1958), " Intimate Partners" (1960), "He is a Rare and Passionate Lover" (1962), "The Dragon and the Phoenix" (1963), "The Young Swordsman Lung Kim Fei" (1964), "The Flag of Death" (1965), "Dragon Inn" (1967) and "Incredible Rumour" (1968). The Archive has a Resource Centre on the third floor housing books, magazines, news clippings and audio-visual materials to facilitate research on the history of local cinema and most of the collection is open to the public and researchers for reference. There is a 127-seat cinema showing a wide variety of film programmes on both Hong Kong cinema and international cinema and a 200 square metre exhibition hall which shows various temporary exhibitions related to cinema. The annual attendance of the Hong Kong Film Archive for the fiscal year ended 31st March 2017 was 173,000. Display from a temporary exhibition "Movies on the Mind"
OPENING HOURS – 10am to 8pm (or 15 minutes after last screening) Sunday, Monday and Wednesday to Saturday. Christmas Eve and Chinese New Year’s Eve 10am to 5pm. Closed on Tuesdays (except on public holidays). Exhibition Hall – opens 10am to 8pm but is closed when no exhibition is taking place. ADMISSION – Free admission to Exhibition Hall and Resource Centre but nominal charges are made for using some facilities in the Resource Centre such as use of separate rooms for viewing audio-visual materials. For current film programme and cinema admission prices see the Archive website. GETTING THERE – MTR to Sai Wan Ho Station then follow tourist signs to the Archive from Exit A (about 5 minutes walk). 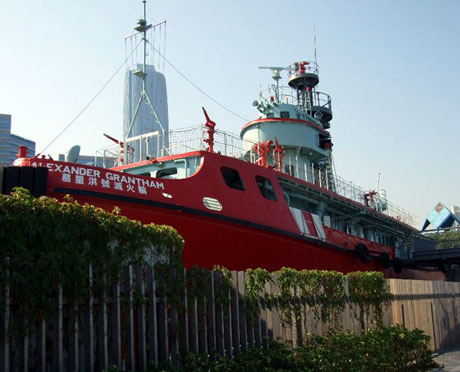 NOTE – The Archive is within short walking distance of another of Hong Kong’s tourist attractions, The Alexander Grantham Fireboat Exhibition Gallery. The Fireboat Alexander Grantham Exhibition Gallery is a small branch museum of the Hong Kong Museum of History and opened to the public in 2007. When commissioned in 1953 Hong Kong had previously had only small fireboats and fireboat Alexander Grantham was testimony to the ongoing advances in capabilities and size of the fireboat fleet. The fireboat played an important part in Hong Kong’s history and continued in service until its decommissioning in 2002. The fireboat was renovated on Stonecutters Island immediately after its decommissioning and moved to its present location in Quarry Bay Park to form part of the exhibition in 2006. In addition to conserving the historic fireboat the gallery seeks to enhance visitors knowledge of the history of Hong Kong’s sea rescue operations and preserve the collective memories of the fireboat. 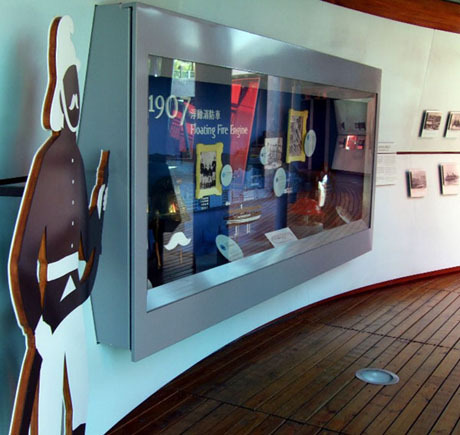 Visitors can walk the decks on the fireboat and the adjacent gallery has photos, artefacts and multimedia exhibits. Quarry Bay Park has a waterfront promenade and excellent views across the eastern side of Victoria Harbour. The Gallery's annual attendance for the fiscal year ended 31st March 2017 was 81,000. GETTING THERE – MTR to Tai Koo Station then from Exit E walk through Cityplaza Mall and from Cityplaza 4 cross the footbridge to Quarry Bay Park (about 10 minutes walk) or MTR to Sai Wan Ho and from Exit A follow tourist signs and walk west to the Hong Kong Film Archive and continue to Quarry Bay Park (about 10 minutes walk). There are also several bus routes from Central including M722 which stop on Lei King Road near Lei King Wan Leisure Area from where it’s about 5 minutes walk to Quarry Bay Park. Trams also serve Tai Koo and Sai Wan Ho. NOTE – The Exhibition Gallery is within short walking distance of another of Hong Kong’s attractions, the Hong Kong Film Archive. 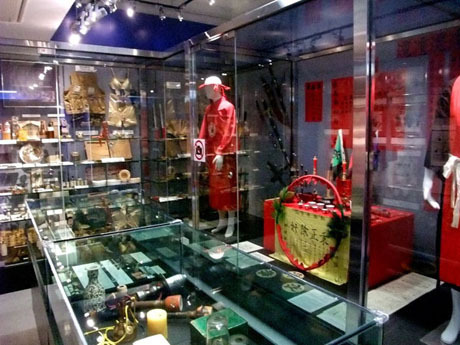 Orientation Gallery describes the general history of the Force through photographs, archives, uniforms, equipment, firearms and other artefacts. The head of the “Sheung Shui Tiger” which was shot in 1915 after killing a policeman is displayed in this gallery. The gallery also contains some rather gruesome photographs of a group of decapitated pirates following their execution after capture from having attacked the ship “Naome” in Mirs Bay. Triad Societies and Narcotics Gallery details the history of local Triad Societies and their activities and displays include ceremonial robes. 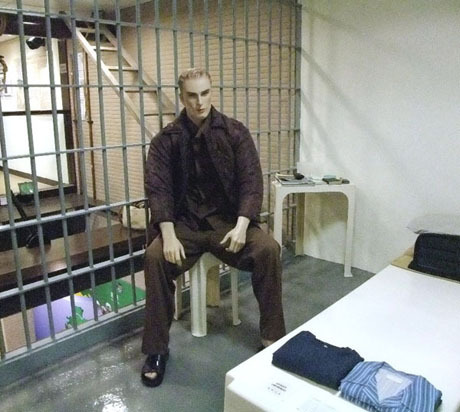 This gallery also highlights the narcotic problem in Hong Kong through the display of replica drugs, drug smoking and trafficking paraphernalia and an example of a heroin manufacturing laboratory. Heroin Factory – this is a gallery displaying a heroin production site which was dismantled by the Police in 1980s. The seized raw materials, utensils, stoves and packaging tools are used to reconstruct the manufacturing of heroin and enable visitors to learn about the menace of drugs. Current Exhibition Gallery is a thematic exhibition gallery with displays that are changed periodically. 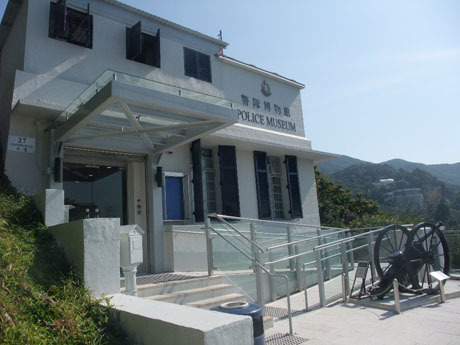 The current exhibition "Cheung Chau Police Station: Marking One Hundred Years (1913-2013)" runs until 31st October 2014. Previous displays have included “Police Tactical Unit”, “Traffic Police”, “Police Stations”, “Hong Kong Police: Then and Now”, "Police Dog Unit" and "In Strive for Wisdom, Bravery, Sincerity and Fortitude: Reminiscing the Day Together in Police Cadet School (1973-1990)"
There is a small souvenir counter but no café. OPENING HOURS – Sunday and Wednesday to Saturday 9am to 5pm, Tuesday 2pm to 5pm. Closed Monday and public holidays. GETTING THERE – Number 15 bus from Central Ferry Piers, Exchange Square and Admiralty (Queensway outside Admiralty MTR Station) to The Peak. Get off at the stop "Wan Chai Gap Road, Peak Road" at the junction of Stubbs Road and Peak Road which is on a sharp right-hand bend (this is also a junction with Coombe Road, Middle Gap Road and Mount Cameron Road). 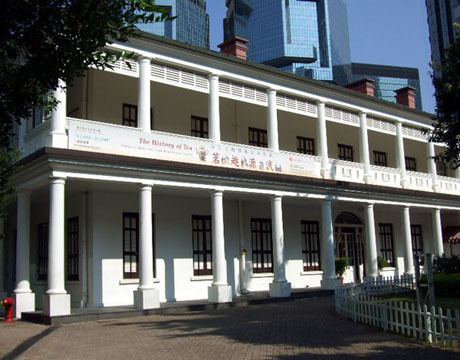 Hong Kong Maritime Museum is an independent, private non-profit making museum, which first opened to the public at the historic Murray House, Stanley in 2005 having been founded in 2004 by the Hong Kong Shipowners Association. Having outgrown its premises at Murray House, in 2007 the museum applied to the government for support in expanding and relocating the museum, with approval being reached in 2011. 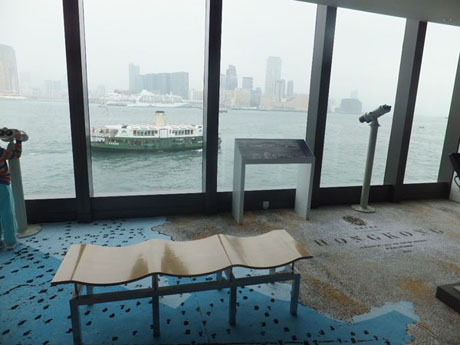 The museum closed on expiry of its lease on Murray House in June 2012 and reopened at its current location overlooking Victoria Harbour on the former Star Ferry Pier for services to Hung Hom, on 26th February 2013. The government has funded most of the cost of relocation and construction of the new museum, leases the premises at a nominal rent of one dollar per annum and will provide some financial support towards operating costs for the first five years of operation. The museum is also supported by generous private donations from individuals and the shipping industry. The new location has a floor space almost ten times greater than at Murray House, enabling it to display over 2,000 exhibits and become a first-class museum. The location is also considered more convenient for educational visits by schools. In June 2013 the museum signed a co-operation agreement with the National Maritime Museum of Chile which is expected to lead to staff exchanges and collection loans between the two museums. Similar agreements are planned with the Australian Maritime Museum and Macau Maritime Museum. The museum describes over 2000 years of maritime history and the development of Mainland China and Hong Kong. It occupies the whole of the previous public viewing deck and roof viewing deck and the eastern berth of the pier, which it divides into four "decks" A-Deck, B-Deck, C-Deck and D-Deck. Visitors enter the museum at C-Deck which contain four galleries detailing the early beginnings of the maritime trade in China which includes displays of pottery, ceramics, wooden model ships, paintings, artefacts and displays which illustrate the development of ships, trade routes and Canton Trade, pirates and the creation of Victoria Harbour. One of the highlights of the displays is an interactive digital scan of "Pacifying the South China Sea", a painted silk scroll illustrating a battle during which General Bailing fought off Cheung Po-tsai, Hong Kong's most notorious pirate. Moving upstairs to B-Deck, the galleries display a wide variety of maritime themes including China's first maritime modenisation, the development of Hong Kong's shipyards, container port and modern ships, vessels for movement of vehicles and people, including the evolution of ferry services between Hong Kong and Macau, leisure pursuits such as dragon boat racing, the underwater world including a display of diving equipment, models of drilling rigs and cable-laying vessels, instruments,memorabilia and the "sounds of the sea" gallery where visitors can ring ship's bells and sound horns. B-Deck has a viewing gallery with panoramic views of Victoria Harbour and display screens with live feeds of shipping movements in the harbour. This "deck" also has space reserved for special events. Following a soft launch in February 2016, the museum officially introduced, in April 2016, its HK$4.7 million KM Koo Ship Bridge Simulator, developed in conjunction with Dalian Maritime University, which allows visitors to captain various vessels including a high-speed ferry, container ship and the Star Ferry. For the time being visitors can attend one of four 30-minutes sessions on Saturdays and Sundays with sessions limited to a maximum of 15 people. Students from the Maritime Services Training Institute will attend the sessions on a regular basis to assist visitors to navigate their virtual journey. There is no additional fee to the museum's normal entry charge to participate. A-Deck is a mezzanine floor which features the Navigation Gallery with displays of maritime communications systems, navigational and meteorological aids and instruments and features an interactive ship's bridge. 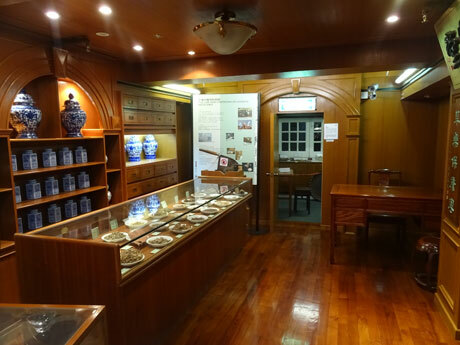 "D-Deck" located on the lower floor of the museum is the CSSC Maritime Heritage Centre, educational classroom space and museum offices and is open by appointment for scholars and students wishing to pursue an interest in Hong Kong's Maritime past and present. The museum has a gift shop located on B-Deck, near the museum exit and Café 8 on C-Deck opened in early 2014. GETTING THERE – MTR to Hong Kong Station or Central Station. The museum is about 5 minutes walk from Hong Kong Station Exit A2 (IFC Mall) or 10 minutes walk from Central Station Exit A via elevated walkway to Star Ferry Pier. Buses 2, 7, 11, 12,91 307, 603, 722, 780 all serve Central Piers. From Tsim Sha Tsui take Star Ferry to Central Pier 7, next to the museum. Ferries from outlying islands Lamma, Cheung Chau, Lantau (Mui Wo), Peng Chau, Discovery Bay and Park Island (Ma Wan) all terminate at Central Piers. 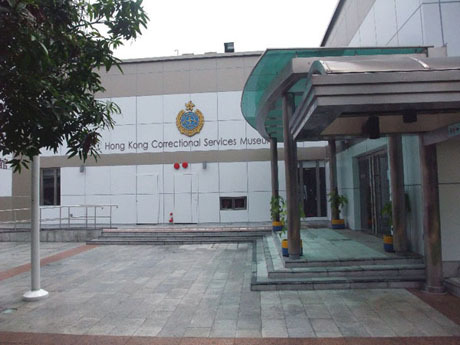 Hong Kong Correctional Services Museum reopened in January 2010 following a five-month renovation programme. The museum is located in a two-storey building next to the Correctional Services Department Staff Training Institute on Tung Tau Wan Road, Stanley and is about 10/15 minutes walk from Stanley Market. The museum's main building has ten galleries with a mock gallows and two mock cells. A collection of some 600 exhibits including historical documents and photographs depicts over 160-years history of the Hong Kong penal system. There is a mock guard tower on top of the premises highlighting the theme of the museum. Its annexe, with an introduction to the department's correctional and rehabilitative programmes, also displays products made by prisoners. A 200-square-metre platform in front of the museum commands views of Hong Kong's scenic Tai Tam Bay. This increasingly popular museum, which originally opened in 2003, received its 600,000th visitor in May 2013, with annual visitor numbers having almost doubled since 2009. GETTING THERE – Buses 6,6X and 260 (from Central Exchange Square), 73 (from Cyberport/Aberdeen), 63 (from North Point) and 973 (from Tsim Tsa Tsui East) all stop close to the museum on Tung Tau Wan Road. 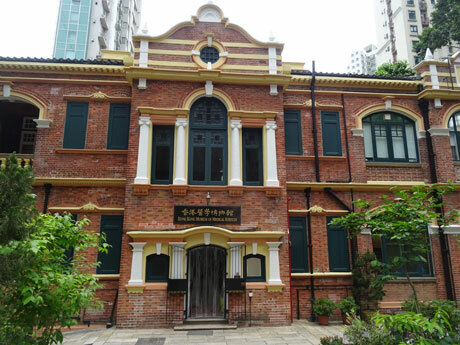 This small museum in Chai Wan is a branch of the Museum Of History and was opened in 1990. Law Uk (the Law House) is a 200-year old Hakka village house named after the original owner whose surname is translated as Law. Law Uk village was founded by in the early eighteenth century by migrant Hakkas from the San On County of Guangdong (today’s Shenzhen). It was one of six Hakka villages established in Chai Wan by the same group of migrants. Law Uk village was originally close to the sea with sampan being the main form of transport and the villagers were mainly engaged in farming. The structure of the house which now forms the folk museum was extensively restored before being declared a historical monument and opening to the public as a museum. The house is about 120 sq metres in area with a central main hall which opens to a light well and is flanked by lofted bedrooms, storeroom and kitchen. 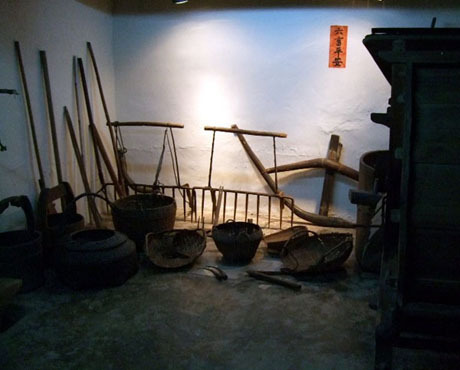 There is a display of traditional village furniture and farm tools. The museum's annual attendance for the fiscal year ended 31st March 2017 was 18,000. OPENING HOURS – from 1st October 2012, opening hours - Monday to Wednesday and Friday to Sunday 10am to 6pm. On Christmas Eve and Chinese New Year’s Eve the museum closes at 5pm. Closed on Thursdays (except public holidays) and the first two days of Chinese New Year. During this period half-price admission will apply. 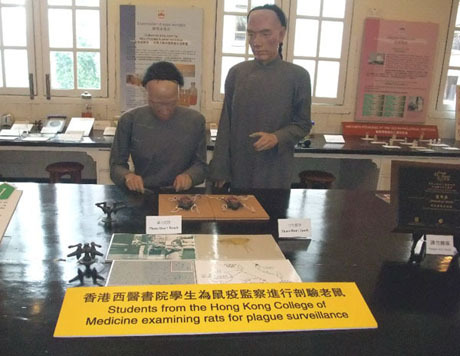 The museum also has a lecture room named after Professor Gordon King, Head of Department of Obstetrical and Gynaecological Services in Hong Kong from 1938 to 1956 which has a small exhibition of photos and gynaelogical instruments and a herbal garden showing the medical properties of different herbs. Visitors should note that some of the information displays in some of the galleries are in Chinese only. LOCATION – 2 Caine Lane, Mid-Levels. GETTING THERE – The museum is located at Caine Lane which is just off Caine Road at the top of Ladder Street. After 10-20am visitors can use the Central – Mid Levels Escalator Link to Caine Road. Walk west along Caine Road for a few minutes until reaching the distinctive Ladder Street on the right and Caine Lane is a short distance down the steps on the left. By MTR – the nearest station is Sheung Wan exit A2. Walk uphill crossing Bonham Strand, Queens Road Central and Hollywood Road to Mid-Levels and Caine Road. By bus from Central – routes 3B,12,12M,13,23,23A,23B,40,40M and 103 and green minibus routes 8,10,10A,11,22,28 and 31 westward stop on Caine Road near the top of Ladder Street. In the eastward direction buses 40M and 103 and green minibuses 8,10,10A,11,22,28 and 31 from Pok Fu Lam stop on Caine Road near the top of Ladder Street. 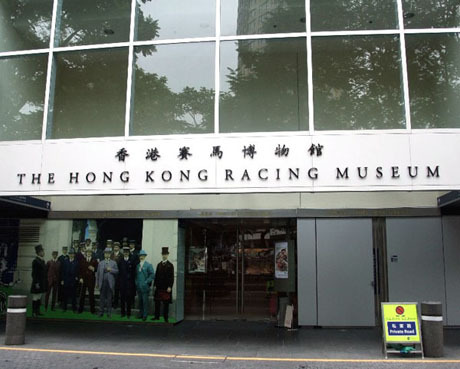 The Hong Kong Racing Museum is owned and operated by The Hong Kong Jockey Club and is dedicated to the history of horse racing in Hong Kong and the Jockey Club’s considerable charitable role in the development of Hong Kong. 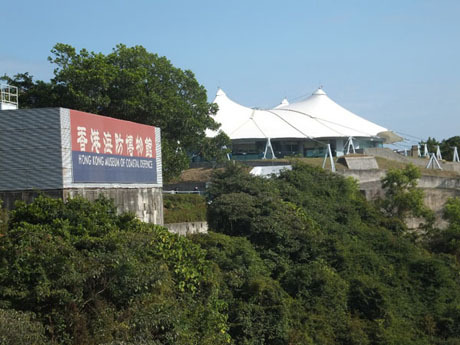 The museum, covering an area of 6000 square feet, opened in 1996 within the main stand at Happy Valley Racecourse and has panoramic views over the racecourse. The museum has a four galleries with permanent exhibitions on “The Origin of Our Horses” detailing the origins of horses in northern China and their migration to Hong Kong, “Understanding Horses” which displays the skeleton of three-times Hong Kong Champion Silver Lining with game stations and videos of the day in the life of a Hong Kong trainer. “Shaping Sha Tin” illustrates the development of the Jockey Club’s splendid Sha Tin Racecourse which opened in 1978. 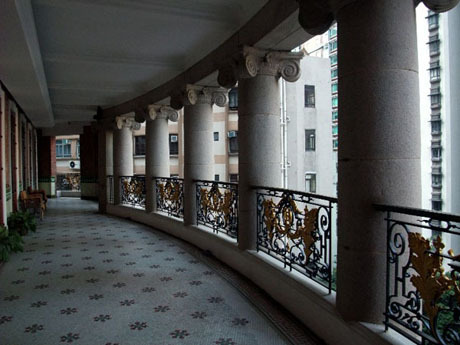 A thematic gallery displays the history of the Jockey Club and the numerous substantial projects, charitable organisations supported by the Hong Kong Jockey Club Charitable Trust. 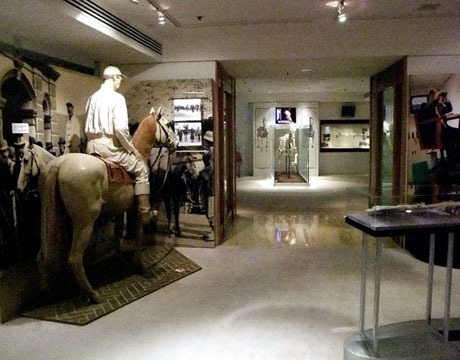 In 2010 the museum held a special exhibition in the thematic gallery with historical exhibits and photos to commemorate the 125th anniversary of the Jockey Club. “Moments in History – The Hong Kong Jockey Club 125th Anniversary Exhibition”. Free guided tours are available for up to 15 people at 3pm every Tuesday to Saturday and 11am and 3pm on Saturdays, Sundays and public holidays for the duration of the exhibition. The museum has a souvenir shop and small cinema. OPENING HOURS – Daily from noon until 7pm (extended to 9pm on night meeting days). Souvenir shop opens same hours as museum and until 9pm when night race meetings take place at Happy Valley. Free guided tours operate at 3pm on Mondays to Fridays and at 3pm and 5pm on Saturdays, Sundays and public holidays. GETTING THERE – MTR to Causeway Bay Station Exit A (Times Square), then follow Russell Street in front of Times Square Piazza to Canal Road flyover at end. Follow footpaths alongside (under) elevated highway south to Happy Valley Racecourse. Museum is located in main stand, take lift to 2nd floor. BUSES 37B, 37X, 38, 42, 65, 72, 72A, 75, 77, 90, 92, 96, 97, 170, 590A, M590, 592 and 629S all stop close to the museum. TRAMS to Happy Valley also pass the museum. 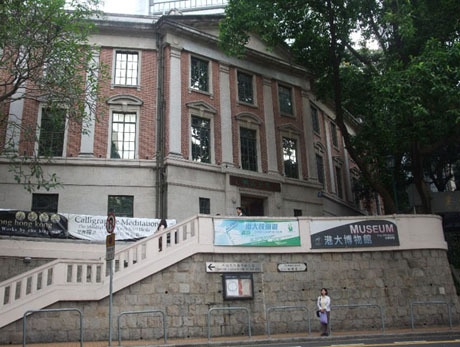 The University Museum and Art Gallery occupies the Fung Ping Shan Building and the lower three floors of the TT Tsui Building at the main entrance to the University of Hong Kong. 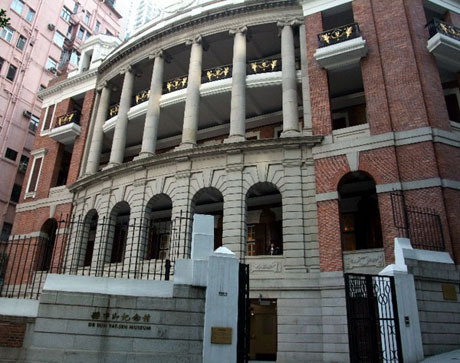 The museum is the oldest in Hong Kong, being established in 1953 as the “Fung Ping Shan Museum of Chinese Art and Archaeology” and later becoming the University Museum and Art Gallery in 1966 following its extension to the TT Tsui Building. The museum houses over one thousand items of Chinese antiquities, mainly ceramics, bronzes and paintings with examples dating from the Neolithic period to the Qing dynasty. The bronze collection includes works from the Shang to the Tang dynasties and the largest collection of Yuan dynasty Nestorian crosses in the world. The Museum also has a number of carvings in jade, wood and stone and a collection of Chinese oil paintings. 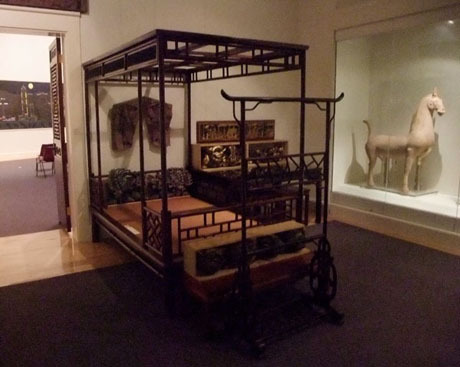 In addition to the permanent collections University Museum and Art Gallery regularly hosts temporary exhibitions of contemporary and ancient art and contributes to the teaching of Chinese art and museum studies in the University. There is also a Tea Gallery, promoting Chinese tea culture, where visitors can experience famous Chinese teas. GETTING THERE – Buses 3B,23,40,40M,103. Green minibus 8,10,10A,22,28,31 to University Main Entrance (East Gate).